Panguite: Mineral information, data and localities. 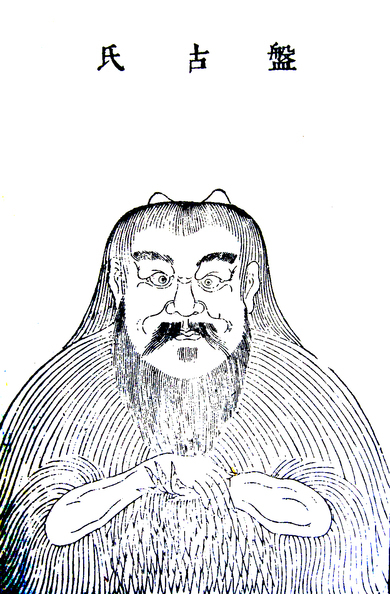 Pan Gu, the giant in ancient Chinese mythology, who created the world by separating the heaven and earth from chaos in the beginning, in allusion to the mineral with an ultra-refractory origin being among the first solid materials in the solar system. It is one of the oldest minerals in the solar system. Irregular to subhedral grains, 500 nm to 1.8 μm in size. In an ultra-refractory inclusion within an amoeboid olivine inclusion from the Allende CV3 carbonaceous chondrite. Ma, C., Tschauner, O., Rossman, G.R. and Liu, W. (2011) Panguite, IMA 2010-057. CNMNC Newsletter No. 7, February 2011, page 30; Mineralogical Magazine, 75, 27-31. Ma, C., Tschauner, O., Beckett, J.R., Rossman, G.R. & Liu, W. (2012): Panguite, (Ti4+,Sc,Al,Mg,Zr,Ca)1.8O3, a new ultra-refractory titania mineral from the Allende meteorite: Synchrotron micro-diffraction and EBSD. American Mineralogist, 97, 1219-1225. Ma, C., Yoshizaki, T., Krot, A.N., Beckett, J.R., Nakamura, T., Nagashima, K., Muto, J., and Ivanova, M.A. (2017b) Discovery of rubinite, Ca3Ti3+2Si3O12, a new garnet mineral in refractory inclusions from carbonaceous chondrites. 80th Annual Meeting of the Meteoritical Society (LPI Contrib. No. 1987), paper id. 6023.